A Registered Dietitian Nutritionist is the internationally accepted nutrition credential that offers the widest range of possibilities and career opportunities. Here are 5 steps to becoming a RDN. Complete a bachelor's degree and receive a verification statement from an ACEND-accredited dietetics program. Note, effective January 1, 2024, a graduate degree will be required to be eligible to take the Commission on Dietetic Registration Exam. Complete an ACEND-accredited supervised practice Dietetic Internship Program or Individual Supervised Practice Pathway. Supervised practice/experiential learning is combined with the Coordinated Program, Future Graduate Program, and International Dietitian Education Program. Pass the Commission on Dietetic Registration Exam. Gain licensure in your state of practice (South Dakota does require licensure through SDBMOE). For more information on second career RDNs or alternative pathways to become a RDN, view this information from the national Academy of Nutrition & Dietetics. South Dakota has one undergraduate dietetics program as a prerequisite for becoming a Registered Dietitian Nutritionist. The program is offered at South Dakota State University where students can also complete a coordinated graduate program and internship as well. 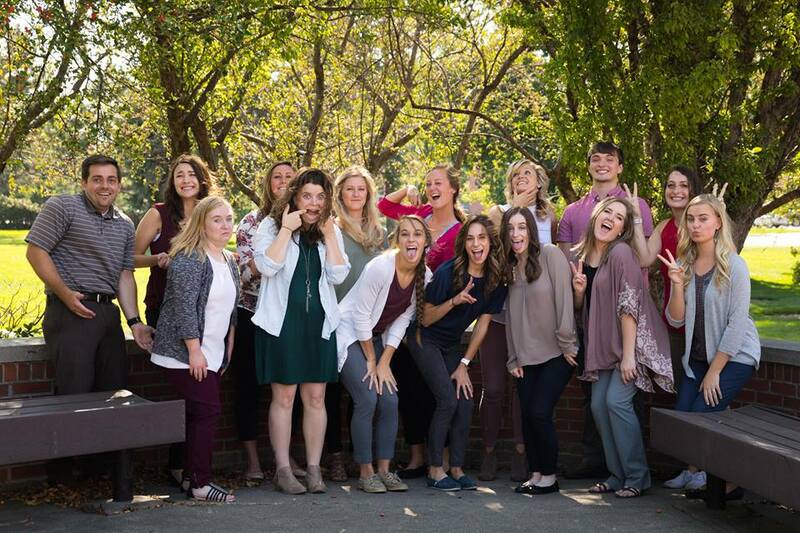 CLICK HERE for more information about the SDSU Undergraduate Dietetics Program. CLICK HERE for information about the SDSU Dietetic Internship & Graduate Programs. SDAND helps support a scholarship for dietetics student(s) at SDSU. All applications are handled internally through SDSU. The internal SDSU scholarship application can be found HERE. +To represent student views across the state at SDAND BOD meetings. +Provide communication to dietetic students within the state. +Encourage and recruit student members to participate in SDAND related functions. +Participate in special projects/promotional activities for RDNs. +Encourage communication with dietetic programs and SDAND. +Encourage dietetic students to become AND members. +Communicate with the SDAND President or President Elect to offer participation on committees and other special projects. +Cultivate student participation in district and state activities. +Inform students about professional education opportunities as available. +Participate in recruitment and mentoring issues as able. +Provide quarterly board reports to the President by a pre-assigned date. +Reach out to President or President Elect if you do not receive notification of meetings. +Contact President/President Elect quarterly to communicate on collaboration and special project opportunities. +Attend SDAND meetings (call-in or attend in person at annual state meeting). +Attend SDAND BOD meetings (generally held quarterly through call-in conference calls and at the general membership meeting held in June). +Approximately two to fours hours of communication with students and other programs. +Student member of the Academy of Nutrition and Dietetics with South Dakota selected as affiliate. +Class standing minimum of a junior in an Academy of Nutrition and Dietetics ACEND-Accredited undergraduate program in South Dakota. +Active within the campus nutrition student clubs. +Available to serve a one year term in the position. A letter of recommendation from a SDAND member RDN (this can include faculty members). A short essay (no more than 500 words) describing the student’s interest in the position, the strengths the student will bring to the SDAND BOD and career goals.